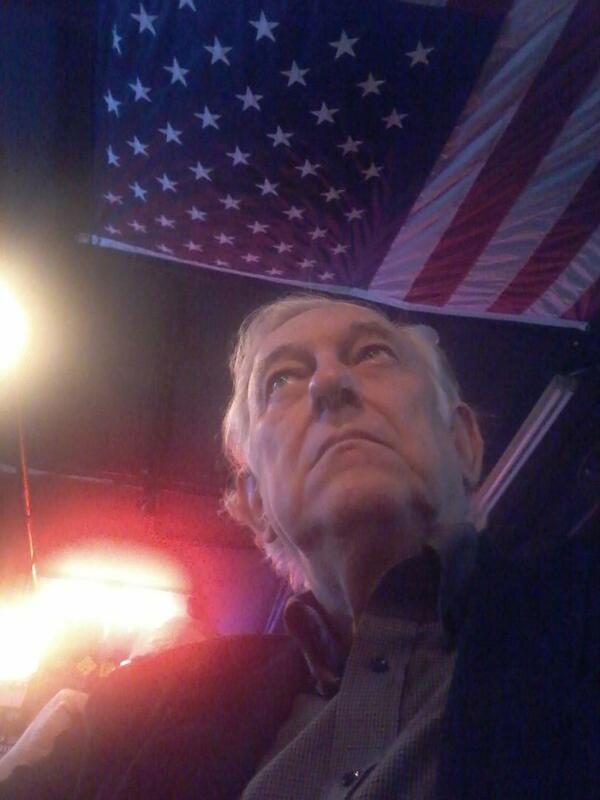 A Disgruntled Republican in Nashville: What's on the Council Agneda fo July1? Pink Flamingos and Honky Tonk protection. What's on the Council Agneda fo July1? Pink Flamingos and Honky Tonk protection. Council meetings are still boring but a bit less boring if you know what the Council is voting on. To get your own copy of the Metro Council meeting agenda and the Council staff analysis follow these links: Agenda, Staff analysis. There is one resolution and 19 bills on public hearing. Most bills on pubic hearing are zoning bill which only interest the nearby neighbors. There are a couple worth watching. BILL NO. BL2014-772 on public hearing established new restrictions on a construction/demolition landfills and recycling facilities. While we need these facilities and they keep stuff out of the sanitary landfill that do not need to be in the landfill, they can create a nuisance and probably need these additional restrictions. BILL NO. BL2014-807 on public hearing would expand the Sylvan Park Neighborhood Conservation Overlay District by about 40 acres and 700 homes. If you recall those pink flamingos in the yard of people in Sylvan Park from some years ago who opposed an overlay, well they are back. I guess the pink flamingos are a tongue-in-cheek representation of a red neck rejection of gentrification pretentiousness. 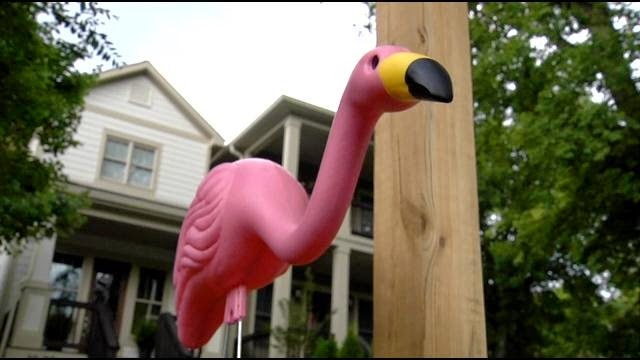 A pink flamingo in a yard represents a homeowner opposed to the overlay. I myself live in a neighborhood with an overlay which among other things prevents someone from putting aluminum siding on their home and I am pleased that our neighborhood has it, but I can understand the opposition. With this proposed overlay, people would have to go to the Historical Commission for approval to make certain changes to their home. To read the Tennessean take on this issue, follow this link. There are twelve resolutions on the agenda and I assume all of them will be on the consent agenda, meaning they are lumped together and pass with a single vote. None of them appear controversial. BILL NO. BL2014-771 on Second reading creates a new code provision for a “contextual overlay district” which could be applied to a neighborhood to ensure that infill development is compatible with surrounding properties. It does such things as restrict the height to no more than 125% of nearby homes. Already the same thing can be accomplished with an Urban Design Overlay, but this would make it easier. I have mixed views of this, but tend to oppose it. 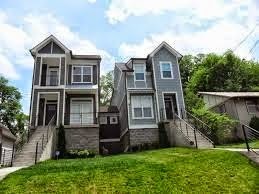 There are some neighborhoods that have been transformed from neighborhoods with homes in the $75,000 to $100,000 range to neighborhood were the homes are worth up to $650,000. If this had been in place those transformation would not have occurred. These transformations do destroy “affordable” housing but they also respond to market demand which results in a higher tax base. Do we want upper middle class people to all move to Williamson County or do we want to let market forces make room for them to live in Davidson County? Also, why should existing property owners who want to sell and move, not be permitted to get the highest dollar for their home? If allowed to be torn down, the lots are more valuable than the home on the lot. could have two units on a piece of property and they would not have to be artificially joined the way they are now, where two protruding utility rooms are the only thing joining the homes. It would also impose heights restrictions. BILL NO. 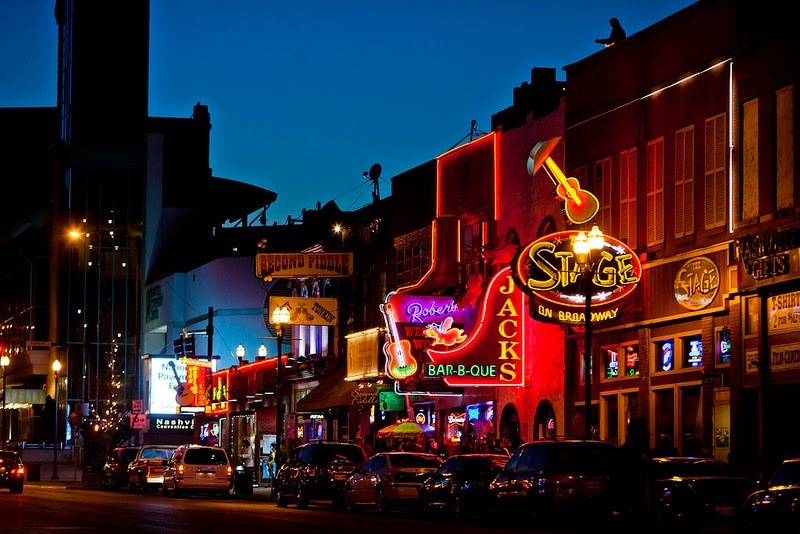 BL2014-776 on third reading would create the Music City Cultural Heritage Overlay District to protect our honky tonks. It would require all businesses on lower Broadway, 2nd Ave and printers alley to have live music or sale merchandise reflective of Nashville culture- think boots, cowboy hats, tee shirts, and tacky souvenirs. It would also ban chain establishments. This was spurred by the threat of Wallgreens to open a store on Lower Broad. The buildings are already protected this would apply to use. I love lower Broad and the honky tonks, but this is just too restrictive. People may want a nice meal without live music after visiting the honky tonks all day and night. If this was already in place we would not have the Hard Rock Café. If this was in place, we would not have the ice cream store on lower Broad. We would not have the Merchants Hotel restaurant. We once had a Planet Hollywood on Lower Broad and while I did not particularly like it, it was better than an empty building. Do we want to stop House of Blues from opening in Nashville, if they wanted to do so? While I would not want to see it on Lower Broad, a sports memorabilia store, an art gallery, or a good antique store, or a candy store on Second Ave, may provide a better experience for tourist. This is just too restrictive. This has been disapproved by the Planning Commission so will require 27 votes to pass. It should be withdrawn and the proponents should go back to the drawing board and come up with something less restrictive or maybe we don't need it at all.